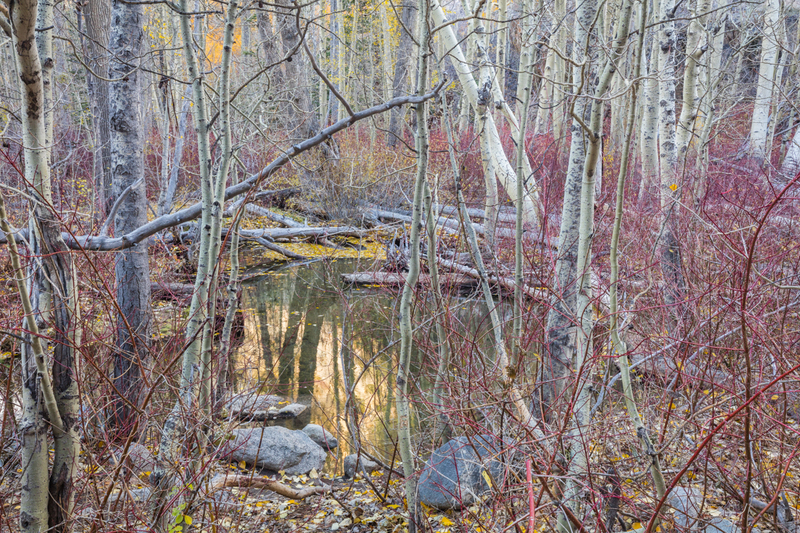 This capture was made during the weekend of a workshop here in Mammoth Lakes. My students and I were astonished by the colors in the canyons of the Eastern Sierra. It has been a long time since we've had the deeper oranges and reds here. In fact, I may have never seen it look quite as amazing as this year! To top it off, we had beautiful stormy weather over the weekend. It was a perfectly clear sky on Friday which allowed for a Milky Way capture in the White Mountains, and then rain and snow on Saturday and early Sunday morning. Bad weather leads to great photography. This particular afternoon had dozens of amazing captures available to all of us. 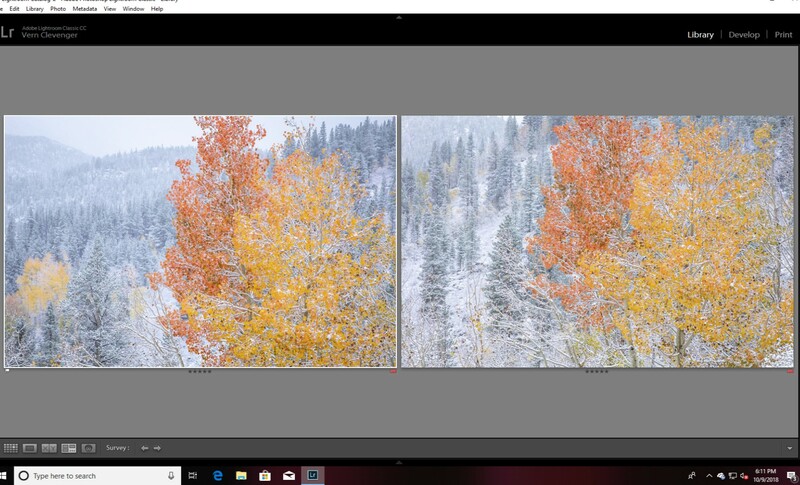 My students all mentioned that they “wanted to know what happens in the right side” of my brain when I am outside with my camera, and then inside with Lightroom. We had many discussions about these concepts over the weekend. I was meditating each morning and letting my long-time sense of direction lead us onward to amazing spots. The workshop works well for all of us. Here are two more images from the Autumn of 2018. 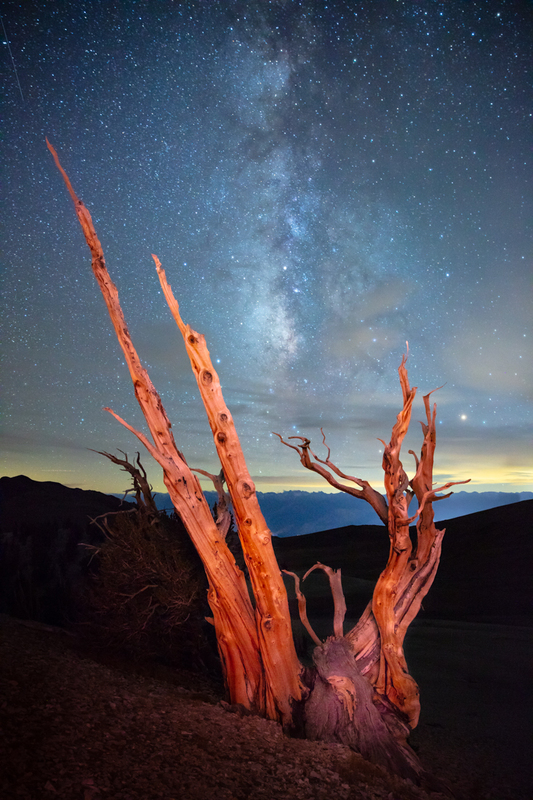 One from the Patriarch Grove with the workshop, and one more from a canyon nearby. Can you guess where?